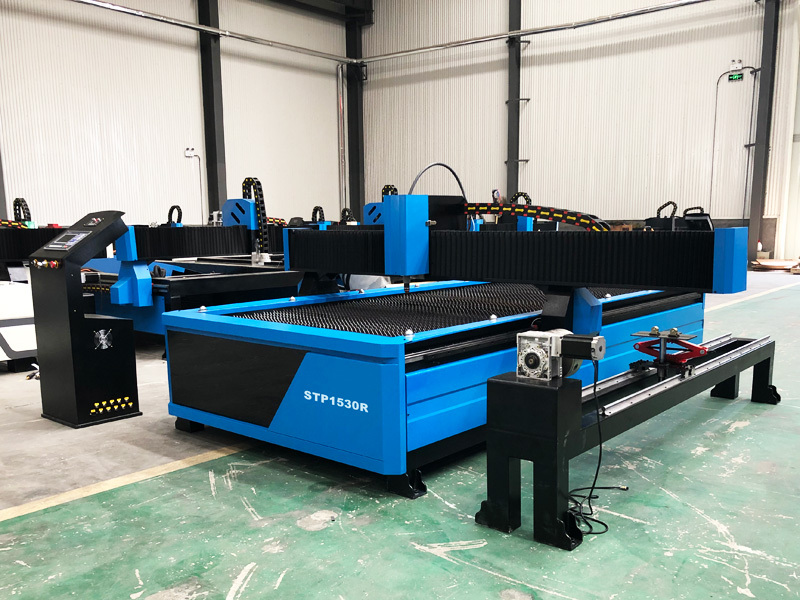 Round steel tube plasma cutter STP1530R is one multi-function plasma machine both cut metal sheet and metal tubes.The cutting thickness can be depend on by the plasma power supply. License: The text of "Round steel tube plasma cutter STP1530R" by STYLECNC is licensed under a Creative Commons Attribution 4.0 International License. What is A CNC Plasma Cutter used for? How to correctly use a CNC plasma cutter machine? How to buy a suitable plasma cutter? How to purchase a CNC plasma cutter?